Kaddy has recently returned from Zimbabwe after a successful 12 week voluntary programme with Restless Development. 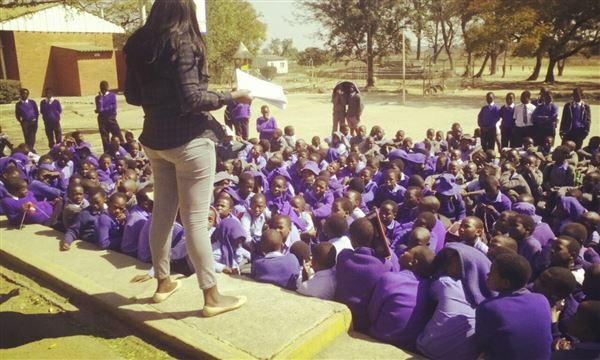 “In Zimbabwe I was a peer educator. I was teaching in five different schools in one community (Mufakose, Harare) about new lifeskills and sexual reproductive health. The response of everyone in the community was amazing. They really appreciate our work and they learnt a lot from us! I will never forget the experience”. Congratulations Kaddy on all your great work in Zimbabwe.